The 2019 Federal Budget has delivered a win for people living with brain disorders in Australia, with a $7million funding boost for research aimed at developing improved models of care. The clinical and research translation program, led by the Mindgardens Neuroscience Network (Mindgardens), will build new models of care to address the staggering burden of brain disorders in Australia. The disease burden associated with neurological, mental health and substance use disorders is in excess of $74 billion per annum and currently accounts for 20.5 per cent of disability-adjusted life years, nearly twice the global figure of 11.1 per cent illustrating the scale of the health care challenge. Between 2010 and 2017 substance misuse (drugs, alcohol) grew at 24.7 per cent, followed by neurological disorders at 15.6 per cent and mental health disorders by 8.6 per cent. (3) Drug, alcohol and addiction disorders. Pilot programs will include Apex Clinics, a ‘one-stop hub’ assessment and review of all patients with neurological, mental health or addiction brain disorders; integrated community hubs, providing customised and targeted community services offering the best evidence-based care to patients and linked to general practice; innovative data technologies to build prevention tools to support early intervention for both the patient and the clinician. Says Professor Helen Christensen AO, Interim Co-CEO of Mindgardens: “our current models of care treat individual disorders in a siloed manner. These disorders are frequently coexisting, they share brain mechanisms and behavioural patterns. We need to take a helicopter view that cuts across siloed service provision, creating better and more comprehensive care”. Mindgardens aims to become the Australian Comprehensive Brain Disorder Centre for clinical care, research and innovation where pilot programs like Apex Clinics, Integrated Community Hubs and Preventative Technologies can be developed and then rolled out nationally to support all Australians living with a brain disorder. Professor Peter Schofield AO, Interim Co-CEO of Mindgardens says: “linking outstanding patient care with world-class research is the way to mutually leverage research discovery and treatment innovation. This has been demonstrated in cancer care where Comprehensive Cancer Centres have had great success in steering research towards the clinical problems of patients and bringing the benefits of research into patient care”. “Our aim is to become an international leading precinct for innovative research and compassionate healthcare for all brain disorders,” says Professor Schofield. 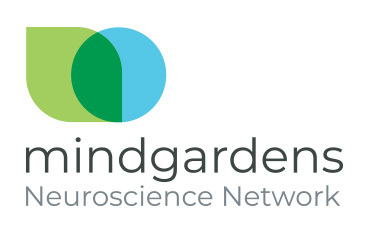 Mindgardens, based in Sydney, Australia is an innovative organisation dedicated to clinical excellence, research and education in neurological, mental health and substance use disorders. Established in 2018, it brings together the strengths of four founding partner organisations: Black Dog Institute, Neuroscience Research Australia (NeuRA), South Eastern Sydney Local Health District (SESLHD) and UNSW Sydney (UNSW) to form the largest collaboration of scientists and clinicians in brain disorders in the southern hemisphere. Why is Mindgardens important to all Australians? Mental health, neurological and substance use disorders currently account for over 20% of the burden of disease in Australia. This burden of brain disorders is almost double that of the global figures which is extremely concerning and calls for immediate action. What is the proposed new model of brain disorder care? The new model is built around an “integrated system of care” to address physical, mental health, drug and alcohol and neurological disorders concurrently. Linkage to community care hubs provides critical time-sensitive patient information, to model individual support and therapeutic adjustments that deliver a complete 360-degree picture of the patient, needs and progress. Why Sydney, Australia? – the statistics add up. The Southern and Eastern areas of Sydney have some of the highest rates of suicide in the country. The national suicide rate is 12.6 per hundred thousand. In Randwick, the standardised rate was 20.3 in 2016. Within this local health district area, South Sydney has a rate of 18.6 and Waverley a rate of 25.4, more than twice that of Australia.